If you were arrested and charged with a criminal offense in Delran Township, you are probably feeling a great deal of concern and nervousness. This is common for first-time or repeat offenders. The Criminal Justice System is not always a welcoming and forgiving experience. However, having the right representation by your side, step-by-step, can make all the difference. Proetta & Oliver is a criminal law firm that prides itself on our ability to maximize our court experience and skill sets to the benefit of our clients. If you were charged with a crime involving Possession of Marijuana, Terroristic Threats, Driving While Suspended, Vehicular Homicide, Possession of Drug Paraphernalia or Assault, our team of trial attorneys are available to provide assistance. Whether your case requires a full-blown trial or can be dismissed through filing evidentiary motions, our firm is prepared to take up your case in almost any situation. Call (609) 850-8284 today and schedule a consultation with a Burlington County criminal defense attorney. ♦ First, Second and Third Wednesday of each month at 8:30 am. 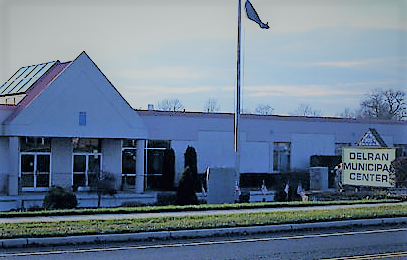 For more information on the Delran Township, please click the link. If you or someone in your family received a summons complaint or summons warrant and are required to at the Delran Municipal Court, contact the law firm of Proetta & Oliver. Our criminal defense trial attorneys have spent their careers prosecuting and defending cases. Cases we have handled include Simple Assault, Aggravated Assault, Possession of a Weapon for an Unlawful Purpose, Cocaine Possession, Heroin Distribution, Leaving the Scene of an Accident, Driving While Intoxicated (DWI) and Theft of Movable Property, just to name a few. For an immediate consultation with an attorney, contact our office at (609) 850-8284. If you would like to schedule a consultation at our Office, please contact us to arrange a time convenient for you and your family. We make ourselves available 24/7 for your convenience.